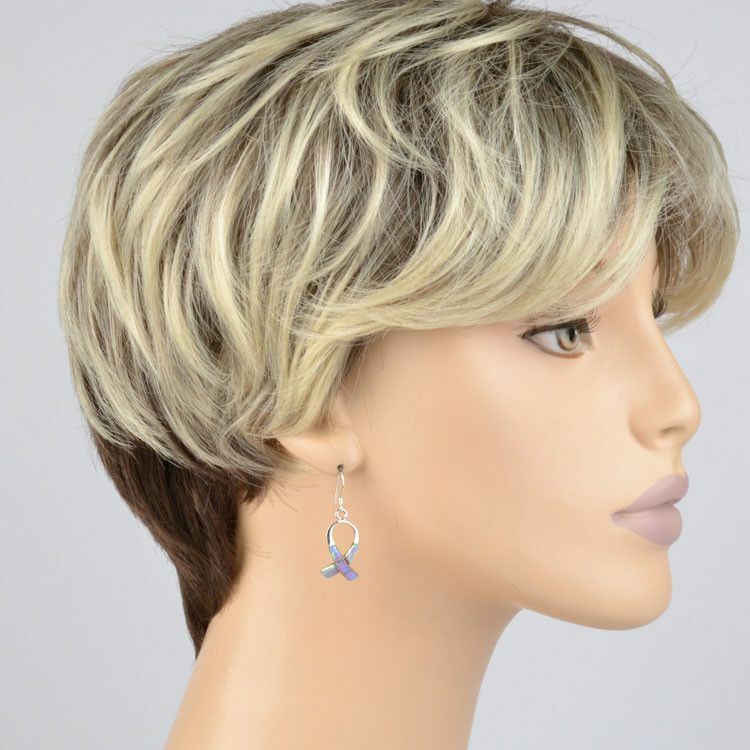 These Breast Cancer Awareness Ribbon earrings are a unique find. 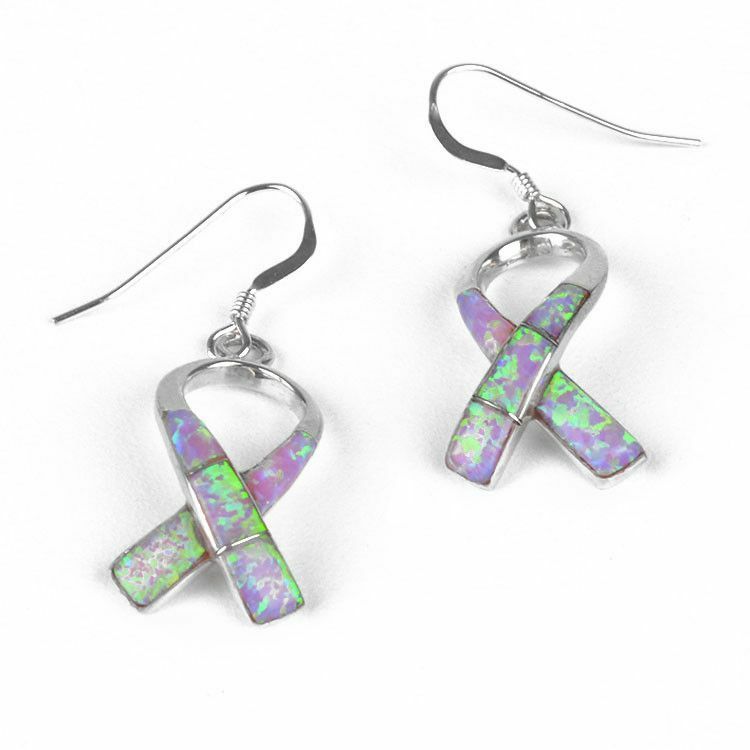 Made with pink/green lab opal inlaid in sterling silver, the 7/8" long ribbons have a wonderful sparkle to them. 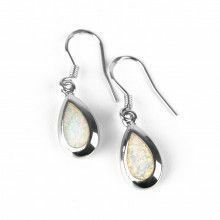 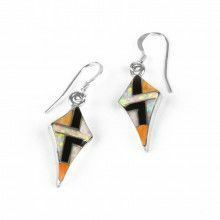 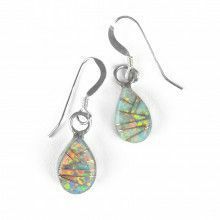 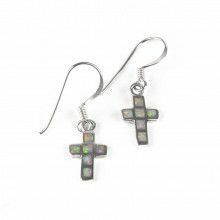 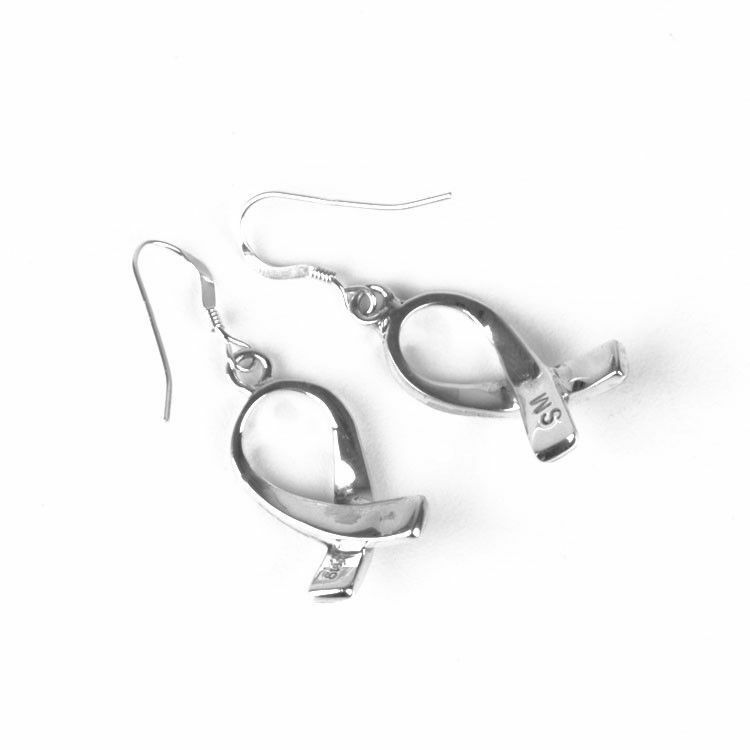 The 1 1/2" long earrings have simple hooks.